All homeowners should prepare themselves for some strategic staging when they consider selling their home. In the past, sweat equity was what everyone looked for. If a house needed cosmetic updating that was great, the buyers knew they could make some equity right away by doing that work themselves. But in today’s market, this day and age of busy lives and schedules, maybe both parents are working, or mom is home-schooling her kids, or singles who are working long hours…they just don’t even have time for the little fixes, up let alone a major remodel. So if you do a few or all of the items below, you will definitely get a better response from buyers, and a great return on your investment. If the buyer perceives an easier move they are much more eager to purchase. Check your house for "curb appeal". The exterior is the first impression a prospective buyer has of your home. Make it as inviting as you can. Think of it as outside decorating. Clean (or paint, if necessary) the exterior, re-sod brown spots and crab grass, mow the lawn, pull weeds, remove dead trees or plants, and trim the shrubs. Flowers give warmth and personality to a home. Plant them tastefully in pots or beds at the entrance, on decks and around patios. If it isn't flower season, at least clean the beds, remove the dead leaves, and cover the ground with fresh wood chips or other clean looking mulch. Then clear the clutter! Think of yourself as a seller not as an owner anymore. 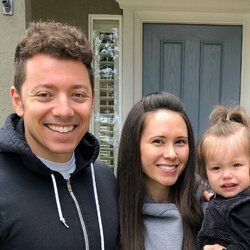 If your living spaces have too much furniture, or it’s old and you aren’t going to ship it to your next destination anyway, get rid of it now. Clear your counter tops of items or appliances you haven’t used in six months. Clear out your closets, attic, basement, garage, and other storage areas making them appear neat, half-full and organized, and your house will seem to have more storage space. To accomplish the clutter - clearing task, go through the house, and begin packing boxes and storing them in the garage. Then hold a garage sale, and use the profits to help offset the next set of fix-it priorities. If you have a limited budget, make the most of it. Put the money where it is most obviously needed and the return the greatest and most visible. 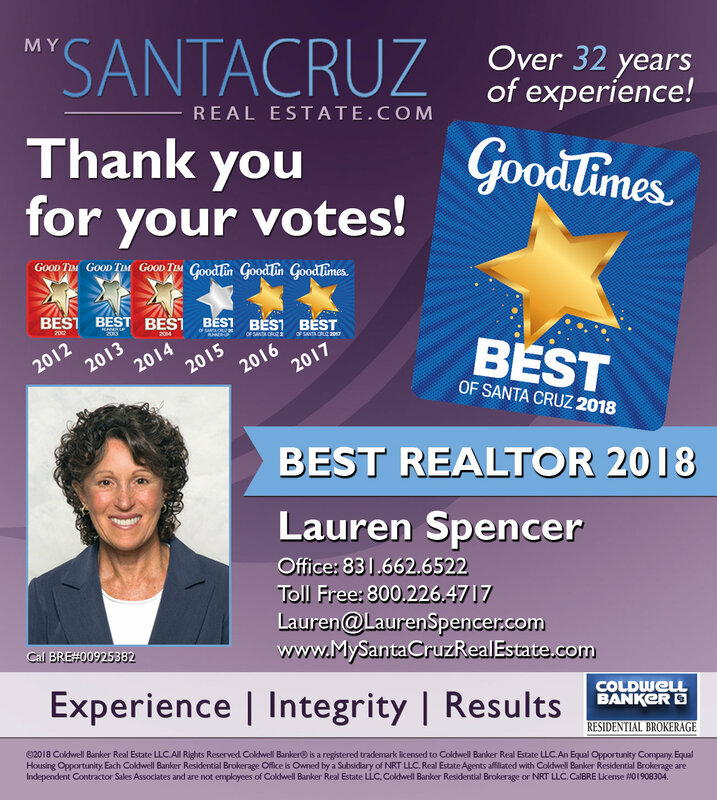 If you have any questions about selling real estate in the greater Santa Cruz area, contact Lauren Spencer, Coldwell Banker Realtor at 1-831-662-6522 or Toll Free: 1-800-226-4717.